This was a very rare Bermuda Cedar tree planted in front of the historic Greene and Greene designed Blacker House. In 2007, the tree started to fall over and was in danger of damaging the house. We cut down the tree and sawed it into lumber. Some of it was used to build garden benches for the Blacker House. Bermuda Cedar has been prized for centuries. Unfortunately, the species faced near extinction during the mid 20th century. Read more about the history of Bermuda Cedar here. 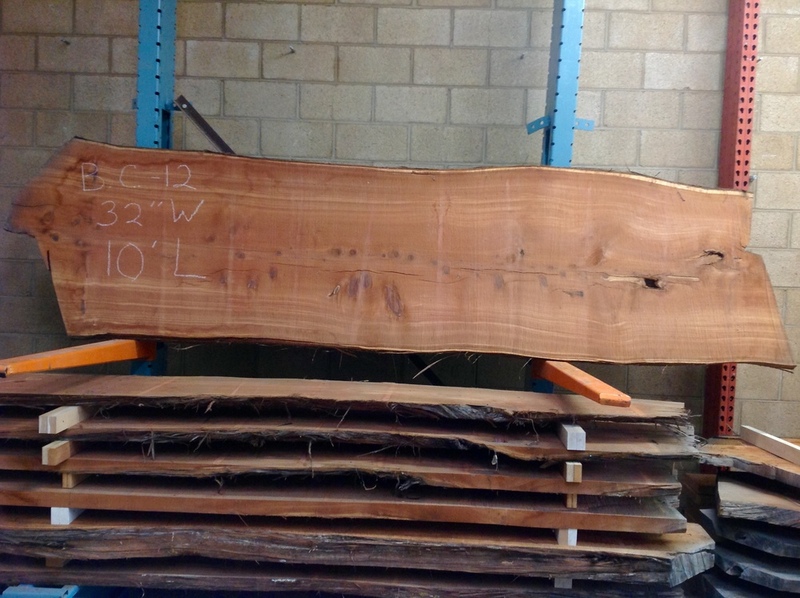 We have a limited inventory of Bermuda Cedar slabs for sale. If you're interested in live-edge slab tables, take a look! Each slab is numbered and includes dimensions. 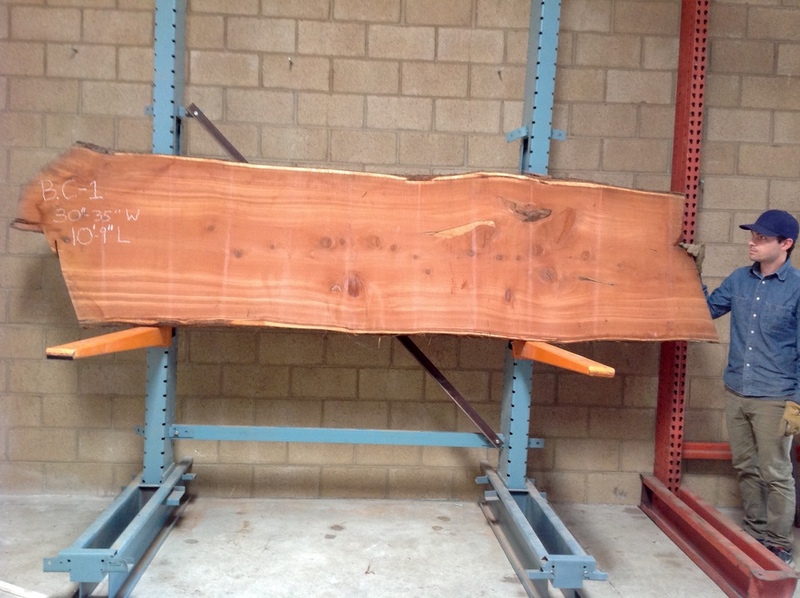 All Bermuda cedar slabs are a meaty 2" thick unless otherwise noted. We also have an inventory of beautiful genuine mahogany (Swietenia macrophylla). It is increasingly rare to find single width mahogany boards of this size and grade. These very special slabs are part of Jim's prized collection. They are waiting for the right project.